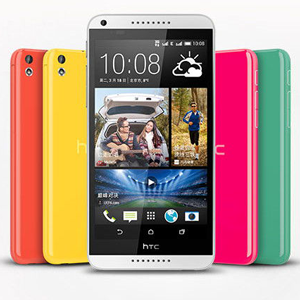 The HTC Desire 816 was released in April 2014. it's a mid-range device that brings in a number of high-end specs. The Desire 816 has a 5.5" Super LCD2 720p display. It's powered by a Qualcomm Snapdragon 400 1.6GHz quad-core processor and has 1.5GB of RAM. Internal storage sits at 8GB, and can be expanded with a microSD card, up to 128GB. It has two comparatively powerful cameras. A 13MP rear facing camera, and 5P front facing camera. All this runs on a 2600mAH non-removable battery.